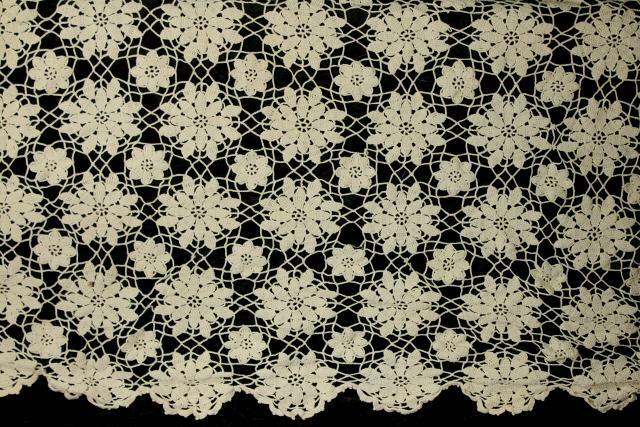 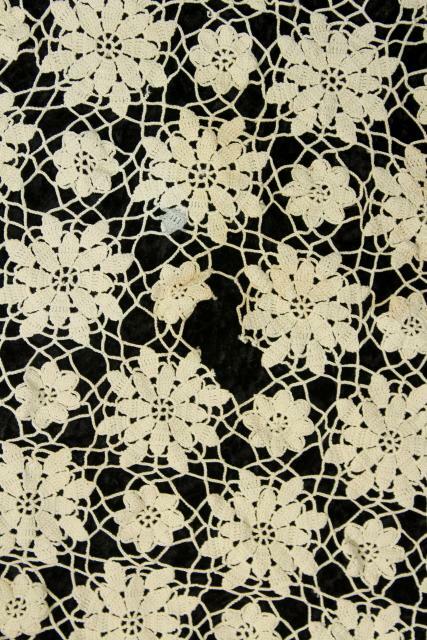 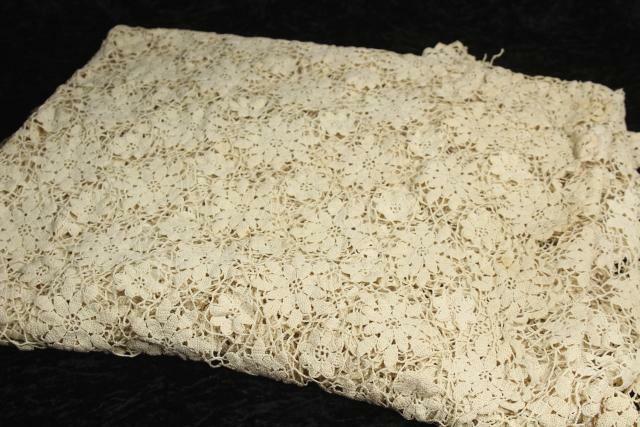 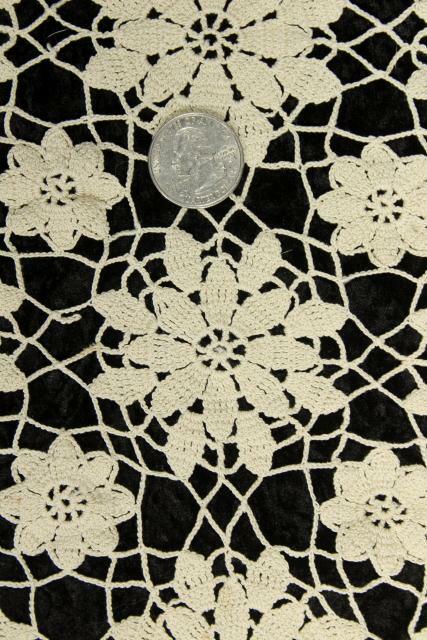 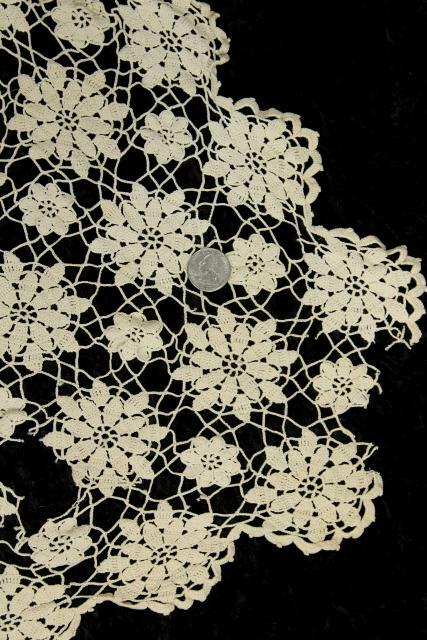 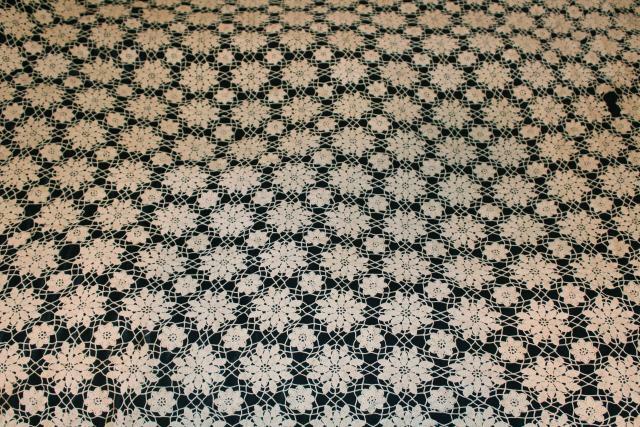 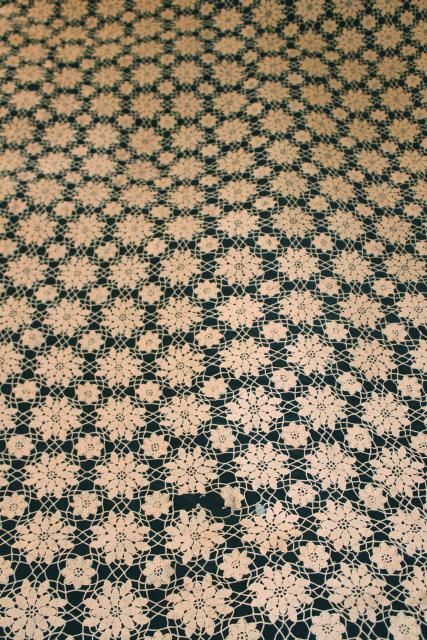 Handmade crochet lace bedspread in a lacy flower or snowflake pattern, so pretty. 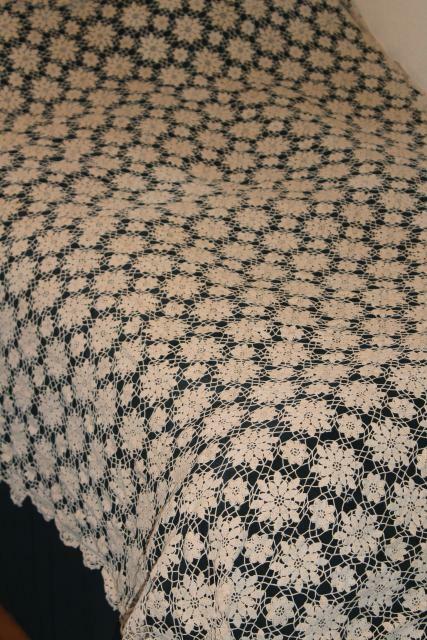 Measures about 62" x 82" overall. 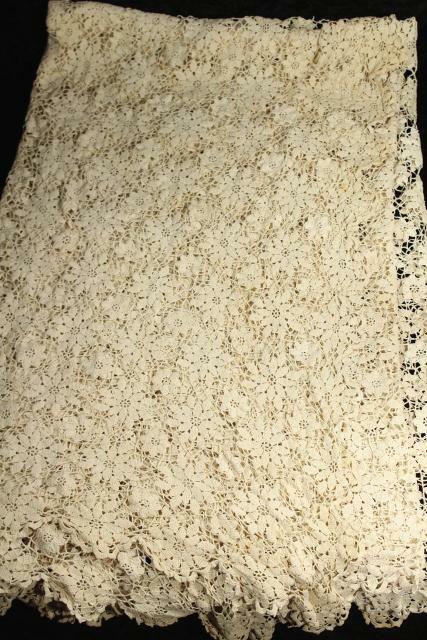 This is stained and spotted (we haven't soaked this, or attempted to remove the spots). 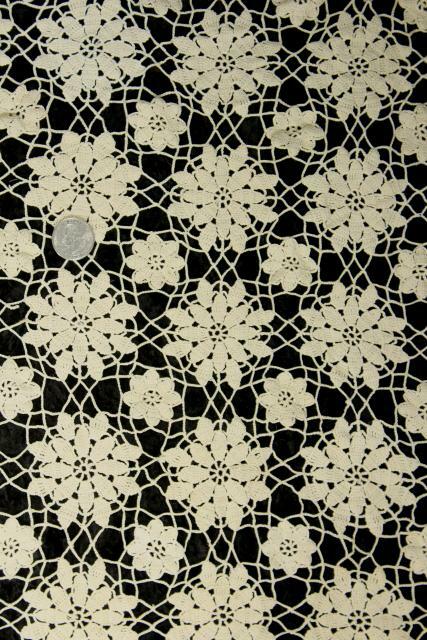 We found a few holes or broken threads which need stitching.